After a month on the Autoimmune Protocol (AIP), I’m finally starting to reintroduce foods! I’m bracing myself for potential eczema, but the reintroduction of eggs is going quite well so far. Which is great, because eggs are in, well, EVERYTHING. Over the last month, I have limited my diet to meat, vegetables, and some fruit. I have not had any eggs, nuts, nightshades, or seeds (aside from the occasional minor exceptions for seed-based spices when eating in restaurants). The easiest part was actually cooking for myself. The hardest part was eating anywhere but home. And cutting down on sugar. God is it hard to cut down on sugar. Back in January, I knew I had to stock up if I wanted to succeed on the diet. Making 3 pounds of beef jerky was part of that process. However, I faced a new challenge: making jerky without the addition of all those flavorful, spicy spices like chili powder, cumin and black pepper. 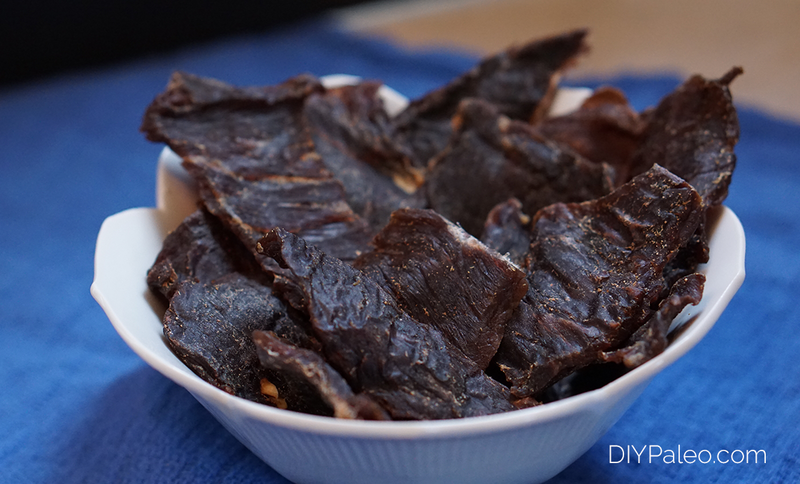 …and I used every single one of those items in my AIP-friendly jerky. By the way, this is probably the only time you’ll read this on my blog, but: use a very lean cut of meat, like London broil. If the cut is really fatty it won’t dry properly. The good news is that London broil is super cheap and comes in large quantities. More jerky for you! 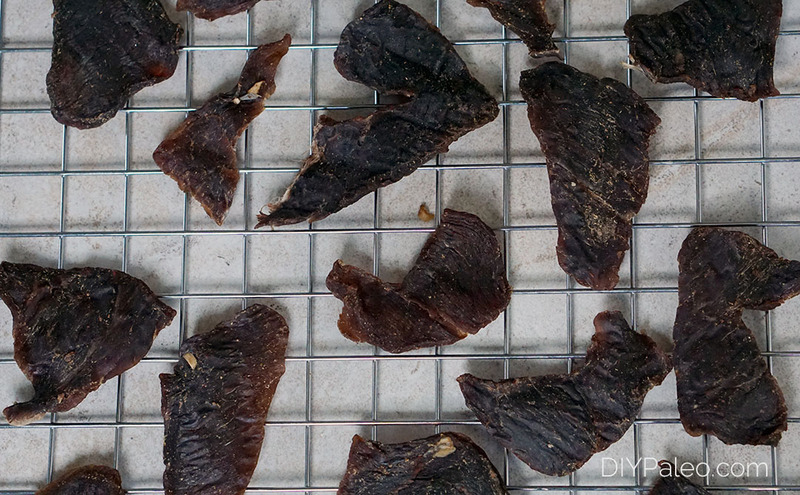 While on AIP, I’ve thanked my former self many times for making this jerky. It has come to my rescue on hikes, in the car, and times I need a high-protein, not-messy snack. By the way: I am enamored with my dehydrator. It. Is. Awesome. You know you’re a real grown-up when you start asking for expensive kitchen supplies as gifts. And when you get real particular about which ones you want. I wasn’t going to be satisfied with the plastic countertop dehydrator. No, I had to go all out for the 10-tray, totally stainless steel dehydrator that’s so big, bulky and loud I have to store it in the outdoor closet and plug it in outside to use it. But…totally worth it. Apparently you can also use it to make your own flour, though that seems too labor intensive, even for me. It’s like making coconut butter; there are some things that are just better off purchased and not made at home. 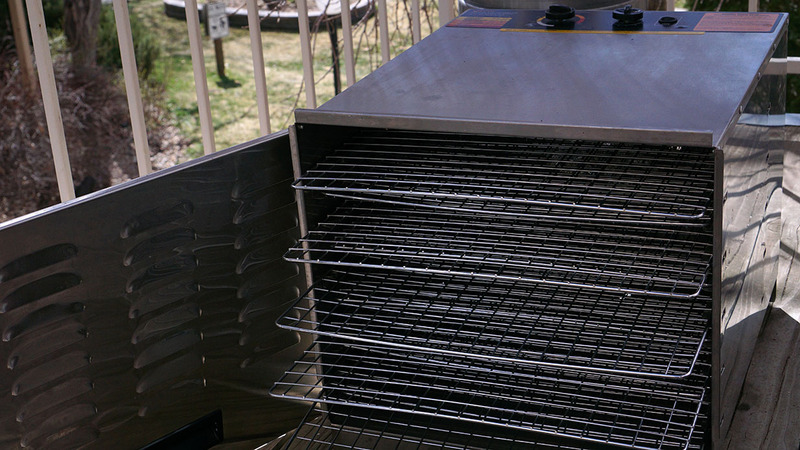 I honestly haven’t had a chance to use the dehydrator for prepping backpacking meals yet, but you can bet it’ll be in use at the first available opportunity for such an adventure. I often struggle to find enough Paleo-friendly backpacking meals at the store, so I’m hoping the dehydrator will come to my rescue. Freeze beef for about 2 hours, or until partially frozen. This will make it easier to cut. Remove beef from freezer and slice into thin pieces, about ¼" thick. In a large bowl, mix the rest of the ingredients. Add beef and toss to coat pieces well. Cover bowl and refrigerate for 4 hours. Remove bowl from the fridge and dry pieces with a paper towel. Discard marinade. Place pieces in a single layer on a baking sheet or dehydrator trays. Dehydrate at 165º for 6-8 hours, or in an oven at 170º for 5-6 hours. Jerky is done when pieces are dry but not tough. Let cool completely, then store in an airtight container. The jerky will stay good in the fridge for several months.